Eliminate the headaches associated with finding HVAC Parts and select Alpha Energy Solutions as your top supplier. We understand that trying to find parts for your heating and cooling systems can be a hassle but we can help. Our company deals with a wide distributor network so we are capable of offering all of the top manufacturer brands in HVAC for parts. Access to HVAC Parts is an important aspect of managing climate control. 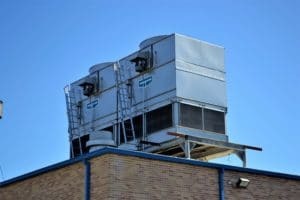 Though you may not be directly responsible for installing parts, you may be responsible for facilitating service and maintenance on HVAC systems within your operation. HVAC is a huge investment and should be handled with care. Trust your parts needs to an experienced company with time spent in the field. At Alpha Energy Solutions, our technicians have over 2,000 years of field experience combined. While it is not likely to find this kind of expertise anywhere else, you can trust that we deliver service and selection to commercial and industrial facilities where we are specialists. When it comes to ordering HVAC parts, time is a critical factor. In urgent situations, parts simply cannot wait. Any downtime that you may experience due to your machines will have a negative impact on your bottom line. In an effort to keep things running smoothly, you need a reliable source for parts, a source that can deliver exactly when you need them without hesitation. Due to the fact that we deal with a wide network of parts manufacturers, we can respond to your calls for service in a timely manner. Contact Alpha Energy Solutions, were our technicians are on-call 24/7 to accept service calls. A technician with experience can help you navigate complicated parts information. Your machine will provide valuable information that will make the search for components easier but you can also trust that Alpha Energy Solutions can help guide you in your search as well. Contact Alpha Energy Solutions for help with parts for your HVAC systems.